Spirit in the Desert Retreat Center welcomes all people to experience the pure beauty of God’s creation in the Sonoran Desert of Arizona. The sunsets are breathtaking and the sunrises are announced by the calls of the Cactus Wren and Gambel’s Quail. 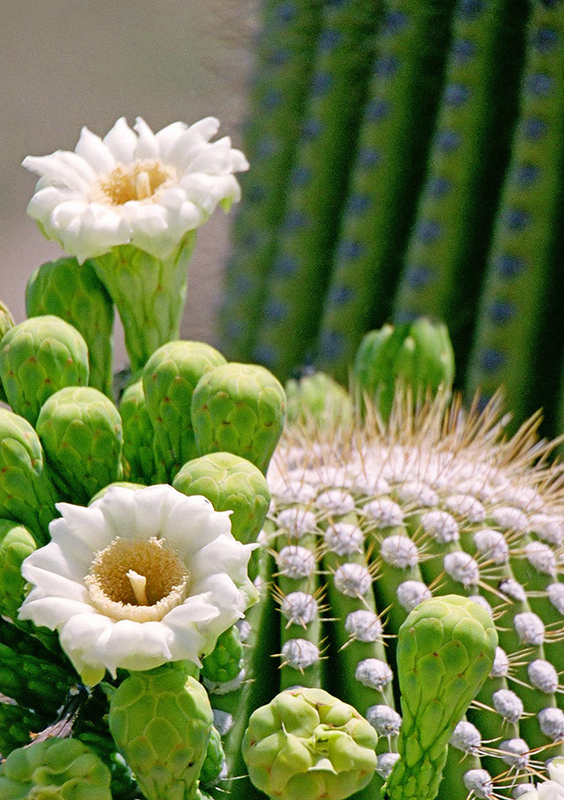 The gardens around the facilities on the nine-acre campus are filled with natural plants, trees, and many species of Sonoran Desert cacti. At an altitude of 2,580 feet the campus is somewhat cooler than the Phoenix metro area, especially in the glorious evening and early morning hours. When you arrive, you will be warmly welcomed by a people-centered staff who will orient you to your surroundings. All bedrooms have private bathrooms, a patio or balcony, most with spectacular mountain views. Our experienced chefs will serve homemade, healthy meals and our heated swimming pool and Jacuzzi are available for your enjoyment and relaxation. Meeting rooms with WiFi and AV support are provided for a successful meeting or retreat. This oasis in the desert features three walking paths with audio-guided meditation including a Labyrinth, Prayer Path, and Islands of Silence. We also maintain a virtual bookstore, with references to a variety of inspiring and insightful books, many authored by our retreat leaders. And we have a small gift shop with items such as pocket labyrinths, prayer stones, desert artists, etc. 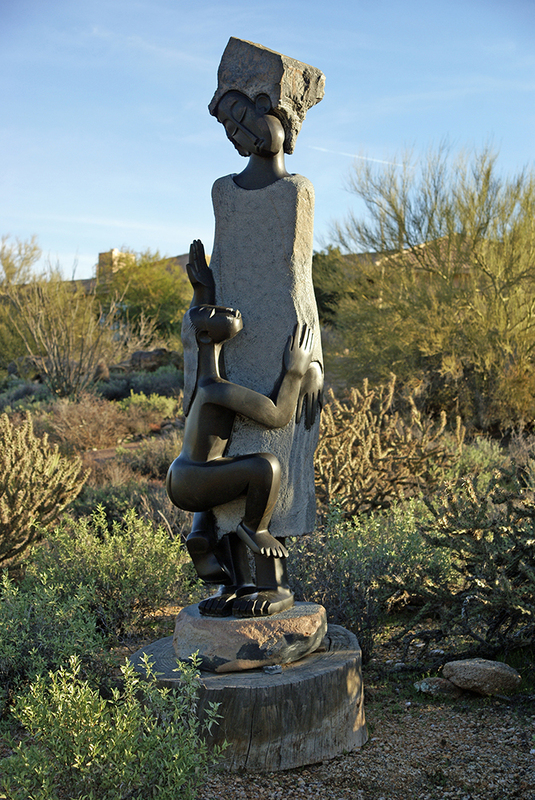 Retreats at Spirit in the Desert are available for participants of all faiths and traditions to experience reconciliation, renewal, healing, and transformation. Churches of all denominations and related organizations can hold meetings for leaders and members in a get-away environment that encourages positive communication and productivity. We also welcome and assist individuals who would like personal retreat for one or more days. We look forward to seeing you at this special place where people experience hospitality and renewal of their callings in the world. Click HERE to take a tour of the campus with Executive Director, Richard Andersen. Richard Andersen was born in Iowa and grew up in Minnesota. He is a Vietnam veteran and a graduate of the University of Minnesota and Luther Seminary. He initially helped construct the ARC Retreat Center in Minnesota and he remained in that community for several years. After his time at ARC, he served as pastor at Watson Immanuel Lutheran churches in southwestern Minnesota. Later, he was Executive Director of the Foundation of St. Andrew’s Lutheran Church, Mahtomedi, Minnesota, while also serving as interim pastor at St. Paul-Reformation Lutheran Church in the city of St. Paul. In 1991, Richard began a successful fifteen-year career at Thrivent Financial, culminating in the position of Senior Financial Consultant. During those years, Richard attended training classes at the Hudson Institute of Santa Barbara, California to become a Certified Life Coach. That training prepared him well when he co-founded a Minnesota non-profit called Third Act Ministries which served groups of people as they individually considered ways in which to transform their lives. Before coming to Spirit in the Desert, Richard Andersen was called by the ELCA to be Director of Congregational Relations and Senior Major Gifts Officer for Lutheran Social Service of Minnesota (LSS). For many of Spirit in the Desert’s guests, the Retreat Center’s well-known welcoming hospitality begins on the phone or in person with Denise Berberich, Guest Services Director. Cathy Rogers, a native Californian with an entrepreneurial drive, knows the responsibility, freedom, and bottom line challenge of running her own business. She brings that needed experience to Spirit in the Desert as Operations and Finance Director. Cathy’s financial responsibilities include all accounting functions. Operations includes leading and managing human resources, buildings and grounds, housekeeping, food services, sales and guest services – all components of Spirit in the Desert’s twenty-four hour, seven-day-a week services to its guests. Cyndy Warnier came to work for Spirit in the Desert in 2008, as a part-time guest services person and already had the education, skills, and experiences for her current position of Program and Development Director. Cyndy is a retired paramedic and has degrees in music, dental hygiene, Biblical studies, and graphic arts. With her Biblical and musical skills, she creates and leads retreats and worship events. Cyndy is also an excellent photographer. Her high-resolution photos enhance Spirit in the Desert’s retreat brochures, emails, and website. Cyndy deeply understands that the foundation of Spirit in the Desert’s relationship with its guests is providing genuine welcoming hospitality and service. She grew up in a family-owned resort business in northern Wisconsin and learned that the family’s livelihood was dependent on every one in the family pitching in and treating their resort guests very well. Cyndy brings that early learning “spirit” to Spirit in the Desert. The mission and viability of Spirit in the Desert Retreat Center is guided by its Board of Directors. Eleven talented women and men generously give their time and expertise to support the executive staff and assure the non-profit organization is a sacred place where people experience hospitality and renew their callings in the world.